Have Rangers turned the corner after their Old Firm blues? Hitthebyline introduces our latest contributor, Rangers fan Chris Mason. In his debut article for the site, Chris explores the optimistic notion that Rangers may well be back on the road to success after suffering a purple patch at the tail end of 2011. January is typically a depressing month, and this January is no exception, particularly for Rangers fans. After witnessing what seemed like an unassailable lead at the top of the SPL cut back due to an alarming loss of form, then losing top spot to Celtic in the festive Old Firm clash, there feels little to be cheery about. On top of this, there is the re-opening of the transfer window, where Rangers will be faced with the all too familiar daily speculation about the departure of our best players. Then there is the looming dark cloud that is the clubs ongoing tax battle with HMRC. First let’s take a look the end of 2011. A poor run of results at the end of the year was difficult to take. So many key players seemed to be playing within themselves, in particular, the usually stellar Davis and Jelavic. Defeats to Kilmarnock and St Mirren were embarrassing, with the lack of fight and creativity difficult to understand. Narrow victories over Dunfermline and Caley Thistle at home did little to build confidence and the team went into the Old Firm game as underdogs. The game itself was stifled by the bad weather and although Rangers lost, the defeat was by virtue of the narrowest of margins, and I take comfort in the fact that there really isn’t too much between the two sides at the moment. A negative start to this article I know, but let’s try and take a positive outlook for 2012. The club could badly do with a bit of optimism. After coming off a run of terrible results including an Old Firm defeat and losing top spot, there was anxiety at how the team would fare when the best of the rest in Motherwell came to visit Ibrox in the first fixture of the New Year. Things weren’t looking good when early in the match Kyle Lafferty pulled up with an injury and was substituted, leaving David Healy as the only striker on the park. However this turned into a blessing in disguise, as the team abandoned punting aimless long balls up field and actually played some impressive pass and move football, sweeping aside a lackluster Motherwell side 3-0 with an excellent team performance. It was a confidence boosting result and Ally McCoist showed this was no time for messing about as he put out a strong side against Arbroath and the team eased into a 5th round tie at home against Dundee Utd. It was important to get back to winning ways, regardless of the quality of the opposition as too often Rangers have struggled against lesser teams this season. The winning trend continued of course as the Gers scraped past a formidable St Johnstone side at McDairmid Park, with Nikica Jelavic again proving how invaluable he is by netting a brace and ultimately securing the victory. If the team can continue playing like this there is no reason why they cannot continue on this run of victories and put the pressure back on Celtic. However, consistency is the key to this. That said, the nature of recent performances has been encouraging, with Lee Wallace and Sasa Papac developing a dangerous combination on the left wing and Allan McGregor proving again and again why he is easily the best keeper in the country. It’s also nice to see lifelong Gers fan David Healy getting a run in the team, a chance he hasn’t really had since joining the club. However, Sone Aluko deserves to be singled out for praise. He is a real creative spark for the team at the moment with Davis currently stuck in a rut. His enthusiasm to take on a man and beat him is refreshing, and he certainly gets the fan off of their seats. He was badly missed during his suspension and after making such a positive impact it is hard to argue that he doesn’t deserve a new two year contract. The limitations of this positive aura around Rangers could of course be hampered by the club’s dealings in the transfer window. As usual, our prized assets have all been linked with moves away, but it is almost halfway through the month and so far the only concrete bid has been one for Mo Edu. 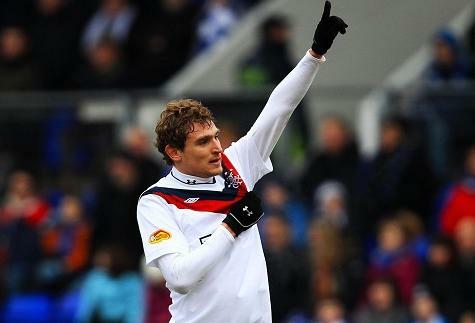 Rightly or wrongly, many people would like to see this player leave the club, but the Rangers fans are united in support of the club’s plight to retain the services of the talisman Jelavic. Undoubtedly he has the ability to play at a higher level, and deserves his chance to test his skills in a higher quality league, however it’s difficult to see the team winning the league without him. Hopefully the board realise what a negative message it would send out by selling him. The situation bears stark resemblance to the Kenny Miller fiasco this time last year. In that instance, McCoist’s men managed to do without the striker and go on to win the league, but given the threadbare nature of the attacking options available in reserve this time, it’d be a far more daunting task to repeat the process by allowing Jelavic to leave. It would make more sense to keep him now, give Ally the best shot possible of winning the league, then let him go to Euro 2012 with Croatia and hopefully impress, adding a few million to his price tag before s then looking to sell him. Sadly though, money talks, and a sizeable bid could see the Croat leave for pastures new before the end of the month, with little realistic hope of seeing any transfer fee received for Jelavic being reinvested into the team. For the same reason, expect to see few arrivals this January, instead younger players like John Fleck and Kyle Hutton will be expected to step up and impress. These obstacles alone would be trying enough for most modern day football clubs, but when you throw in the current HMRC tax case, the situation becomes all the more perilous. It’s difficult to discuss this in any real detail, with cowboy blogger’s, continual whispers of administration and innuendo in the media the only real information to go on in the place of cold hard facts. To put it plain and simple, no one really knows what’s happening, how much the club could owe, and what outcome is likely to happen. It is an ongoing case, neither party will discuss the facts and so fans unfortunately are left to feed on scraps and half truths. It’s infuriating for supporters, given how serious a matter it is. I feel that all we can really do is sit back and wait for the judgement in the coming months. This is far from ideal, but there is nothing left to do but stay positive and focus on the team’s performance on the pitch, as has been standard for the past three or four years. This isn’t the “burying your head in the sand” attitude that plenty of Rangers fans have been accused of over this issue, I accept how serious the situation is, but with little real facts to go on what else can fans do other than get behind the team? So, what to make of all this then? It’s hard to ignore the off field issues, transfer talk and general negativity surrounding the club, but we’ve been here before year after year and every time we have defied expectations and won the league. I’m trying to be as optimistic as possible for the year ahead for Rangers. If we can keep our best players at the club and maintain our recent league form then it will be a close title race. As for the bigger issues, all we can do is continue to support the team and deal with any further issues that may come our way. 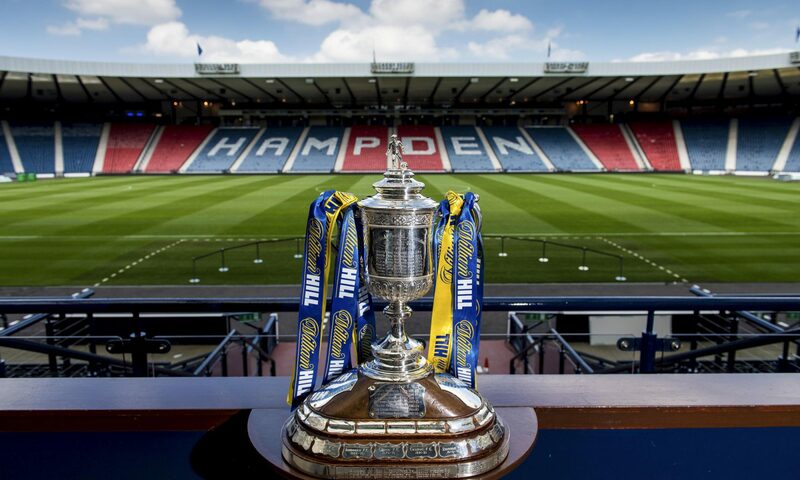 Previous PostPrevious St Mirren: Showing the way forward for Scottish Football? Next PostNext How would the Old Firm fare in the English Premier League?